This is the home of a tri-colored bird, recording his progress in helping kids understand the relationship between their thoughts, feelings and behavior. 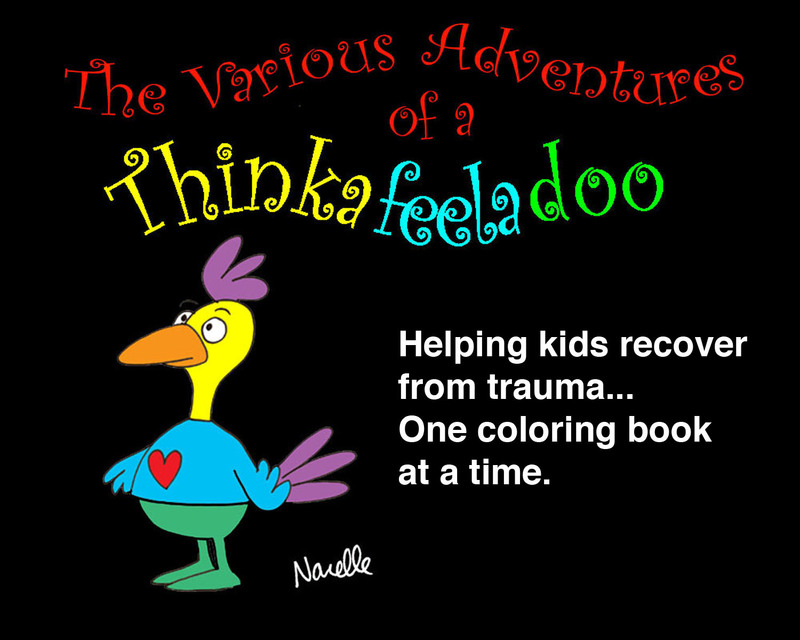 Crime has McGruff, forest fires have Smoky the Bear...now children's mental health has a champion in the form of the Thinkafeeladoo. I would love to hear from you about your experiences with children using the Thinkafeeladoo. 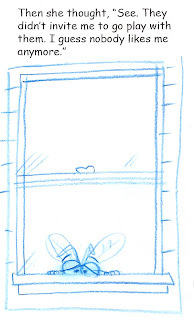 It is my intention to create more comics/'workbooks in the series delving more deeply into the areas of thoughts, beliefs, emotions, behavior and somatic issues, as well as creating Thinkafeeladoo stuffies. 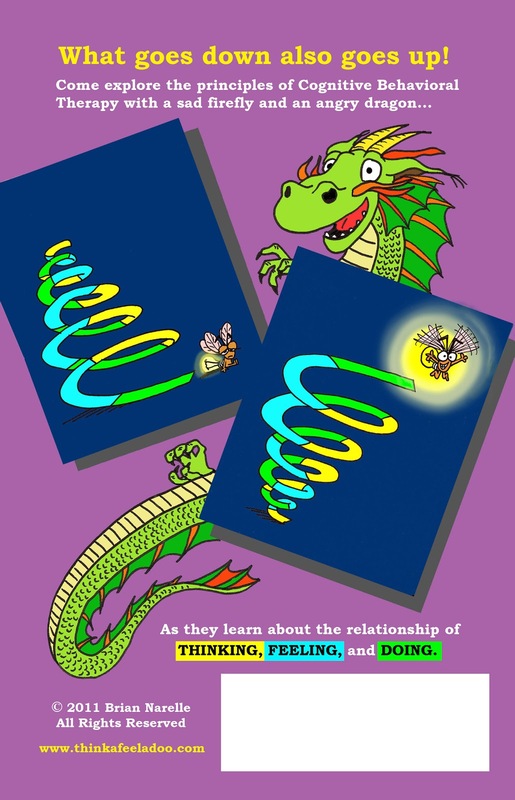 I've just ordered a proof copy of the Thinkafeeladoo comic. It's been a long slog but I can smell the finish line from here. 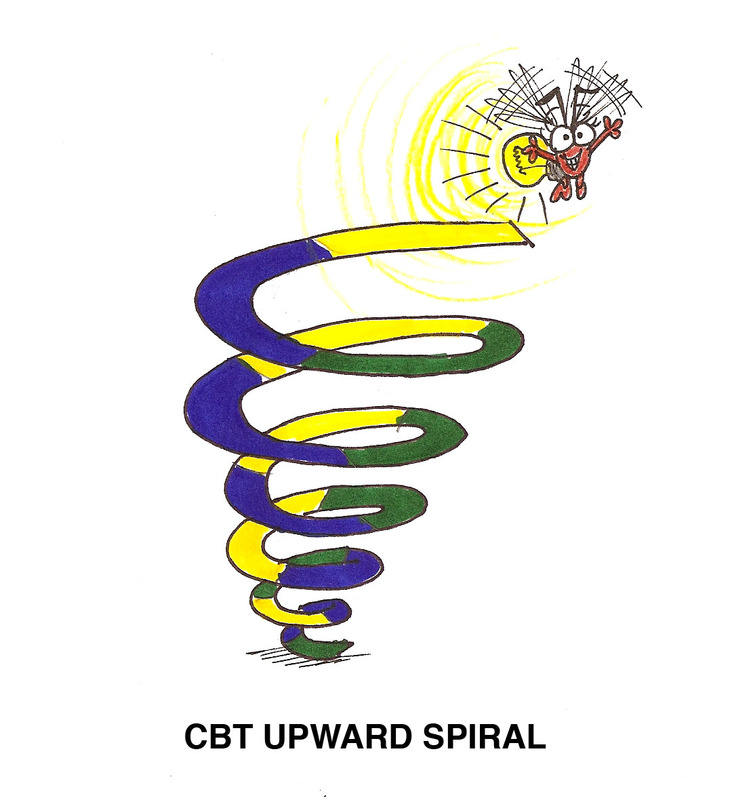 Of course that just means the beginning of promoting, selling and finding the backing to create all five workbooks for therapists and others to use in helping young children recover from trauma. Thanks once again to all those supporters who kickstarted this whole thing. Here's a peek at the back cover. Here's a little taste for Christmas. Slow and steady...it's coming together. 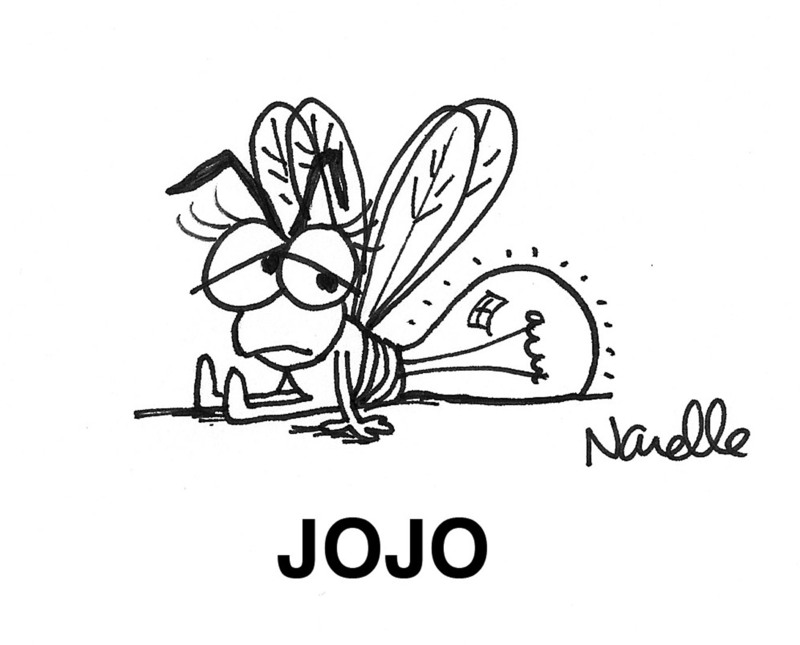 Poor little Jojo. She's not having such a great day. 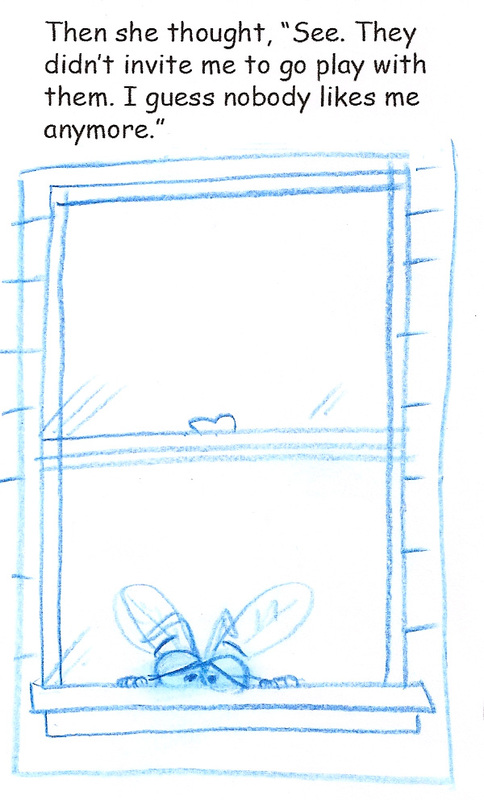 This is a quarter page panel rough layout sketch from the comic in progress. I'm well down the road with color front and back covers designed, two drafts of the script in place, text layout competed and about 2/3rds of the way through rough layout illustration. I just had a lengthy phone conference with Eliana Gil and a fellow therapist on the east coast discussing the project. 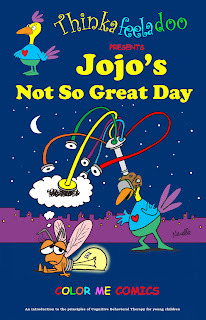 As you can see Jojo is already feeling better. 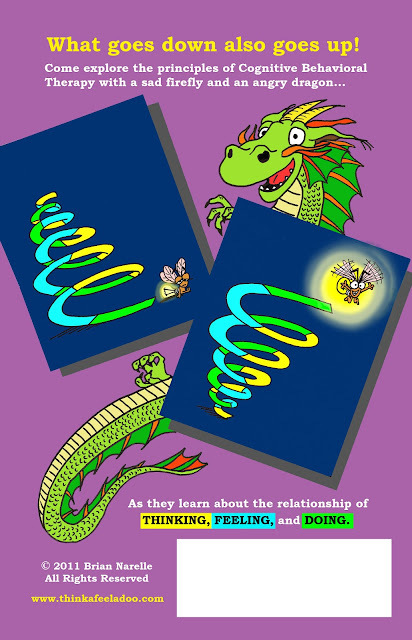 Initial funding through the Kickstarter web site was successful but there's still plenty of time to contribute and get your name in the first book that launches the Thinkafeeladoo series. The link to the original proposal can be found to the right. 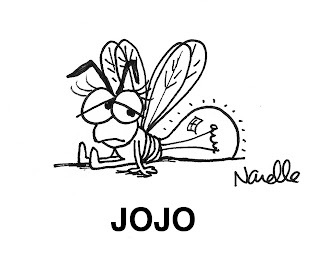 That funding source has ended but I will be collecting additional contributions directly through November in order to assure the success and maximum exposure of the Thinkafeeladoo as he comes to the aid of little Jojo, a firefly who's been through some tough stuff. Together we can help her get her glow back. The same rewards system (as spelled out in the original proposal) still applies. With special thanks to all those who've already contributed through the Kickstarter site. The funding effort to launch the first Thinkafeeladoo book to help young traumatized children just reached its successful conclusion twenty minutes ago. This blog will provide a space to update the progress of the project and the various adventures that will follow. Welcome aboard! What happens when a cartoonist collides with a writer and a puppeteer? That's not a riddle. That's my life.